HOW MANY DAYS DO WE NEED FOR TAMANG HERITAGE TRAIL TREK? Tamang heritage trail is newly opened in order to promote the responsible tourism in popular Langtang trekking region has been developed by the Tourism for Rural Poverty Alleviation Program (RPAP). Tamang heritage trail is situated in the north of Kathmandu and close to the Langtang range in Nepal. 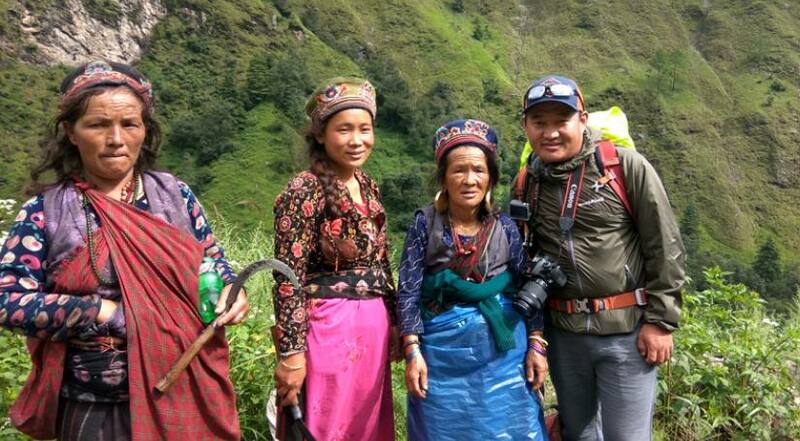 The main aspect of this trek is to provide an ancient lifestyle, cultural and historical values and natural beauty which a breed of travelers looking for something extra those travelers can enjoy the Tamang heritage trail trek. Tamang heritage trail passes through traditional Tamang village where life, culture, and crafts have unchanged since the beginning of the settlement. Warm traditional welcome hosted by the locals, their elaborate costumes, a rich architecture of their mountain houses and ancient monasteries experience of this trail. You will take the 8 hours (145 kilometers) scenic drive to Shyabrubensi from Kathmandu by private 4W jeep. You will pass by many villages, scenic hills, mountains, and rivers. You will check in you Langtang National Park permits in Dunche before arriving in Shyabrubensi. The Nepal-Tibet border is 18 kilometers from Shyabrubensi. Firstly, you will ascend up through the Tamang village to Rongga Bhanjyang (2187m) from where you have the magnificent view of Ganesh Himal and gradually flat on to Gatlang but you will have lunch before Gatlang. And then continue to Gatlang. Gatlang is a beautiful ancient Tamang village so, you can explore inside the village. The trail descends about one and half hour down to the Chilime Khola (River), in this river, a famous hydropower of Nepal and an ascend through Thambuchet and patijhung Tamang village, enjoy views of waterfalls and mountains. Then all way up to Tatopani is uphill. You will have lunch at Tatopani and take a healing bath in the natural water of hot spring. Overnight in Tatopani. Trek descends down to The Bhotekoshi River and ascends up to Briddhim (2229m). You will have lunch and overnight at Briddhim. In Briddim, one can experience Tamang culture in a homestay which is run by the community. you can visit an ancient monastery which is known as a sacred site. Overnight in Briddhim. Early in the morning, you will drive back to Kathmandu by private jeep. You will need to check out your permit. After arriving in Kathmandu, you will be dropped off at your hotel to check into your room, and enjoy Kathmandu. Normally, we can complete the Tamang Heritage Trail Trek in 8 days from to Kathmandu with an exhilarating culture experieces.